My name is Tanya and I would like to welcome you to my website, which was made for independent travelers use. This site is for those active and brave people, who make their holidays independently, who safe a budget and who wait to get the holiday they want instead of the holiday they are enticed to buy from different travel agencies. I am pleased to be able to offer you my knowledges and impartial advice about local cultural for enjoying the best that Estonia has to offer. I am here to assist you in every aspect of your travel arrangements from arriving mode to Estonia, accommodation and feed till your cultural rest organization, health and education. I am completely independent which enables me to obtain the best prices. Working from home enables me to offer an exceptional personal service. 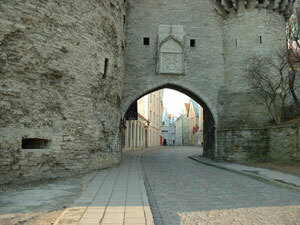 Ask me everything that you want to know about Estonia before your arriving. Every question are more easy to decide here on the place. I live in Estonia and have connections to it's every day life. We make together your holiday stress free and your travel plans from the comfort of your own home. I pride myself on such a level of personal service and attention to detail that you will not find elsewhere. I am prepared to provide you with as detailed replies as possible to any questions that you may have about my facilities. If you would like to discuss your travel needs, please feel free to contact me.